In need of brakes near Cotati? RPM Automotive Services is happy to help. 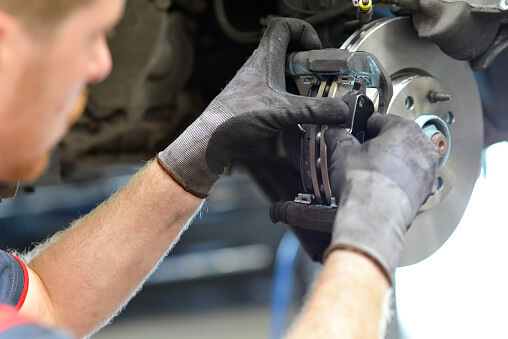 We provide brake service for all makes and models, including: Acura, Audi, BMW, Buick, Cadillac, Chevrolet, Dodge, Ford, GMC, Honda, Hyundai, Infiniti, Jaguar, Jeep, Kia, Land Rover, Lexus, Lincoln, Mazda, Mercedes, MINI, Nissan, Subaru, Toyota, Volkswagen, Volvo, and more! The brake system is the most important safety mechanism in your vehicle (along with tires, of course). It is necessary to have this system inspected regularly, at minimum of every six months. Our oil changes come with a complimentary safety inspection, which includes a brake inspection to make sure your vehicle is safe on the road at all times. If any of these symptoms are occurring, please bring your vehicle in for brakes near Cotati as soon as possible. It is important for your safety, as well as the safety of others that you bring your vehicle in to find out if you need new brakes, or to find out what is causing the issue that you are experiencing. RPM Automotive Services has been in business for over 30 years, employing ASE certified technicians. We only hire the best of the industry to work on your vehicles. We are open Monday through Friday from 8:00am to 5:00pm. Give us a call today to schedule your appointment for a brake inspection or new brakes at (707-800-4586). Or, schedule your appointment online here. We look forward to inspecting your vehicle and being your go-to location for all of your automotive repair and maintenance needs.